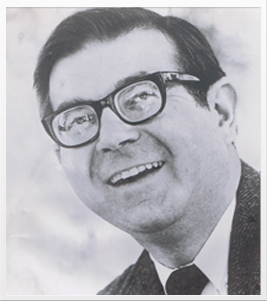 Marvin Kaplan was the iconic comedian of film, television, and voice-over. He is probably best known for his recurring role on the sitcom Alice who frequented Mel’s Diner. He was also one of the gas station attendants who is beat up by Jonathan Winters in It’s a Mad Mad Mad Mad World. Marvin served as AFTRA Los Angeles Local President for eight years, and Performers’ Governor on the Television Academy. A dedicated theatre person, Kaplan was a member of the oldest continually-operating live production company in Los Angeles, Theatre West, for many decades. He was also an accomplished playwright and screenwriter. This entry was posted on Thursday, August 25th, 2016 at 3:04 pm	and is filed under Blog by Manny Pacheco. You can follow any comments to this post through the RSS 2.0 feed. Responses are currently closed, but you can trackback from your own site.